You are here: Home / Kentucky / Happy Thanksgiving! The national observance of Thanksgiving exemplifies everything that we at Dismas Charities believe in, because family reunification is at the very heart of what we do. Without strong family support many of the residents under our care would fail. But because our entire programming structure is built on that all-important necessity, individual lives are made better, the community prospers, and success soars. 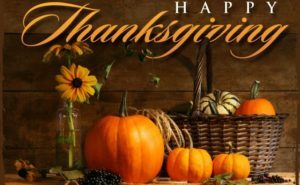 From the Dismas Charities Family to yours, Happy Thanksgiving!